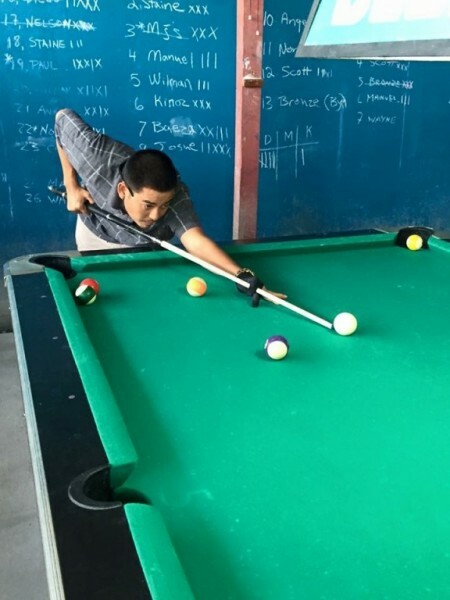 The pre-season 8-ball pool tournament continued over the past weekend, and once again billiards fanatics came to check out Ambergris Caye’s talented players. The competition last weekend was described to be an intense one with games taking place at 1 Barrel Bar. The tournament will continue this weekend with games taking place at Captain Iguanas. The schedule for Friday, March 18th and Saturday March 19th is 7PM while on Sunday, March 20th , games will start at 1PM. Fans are encouraged to come out and support their teams as they prepare for the big tournament coming up later this year. Organizers once again thank all sponsors for their support and for making the tournament possible: Ocean Ferry, LC Distributors, Rapidito Loans, Wings, Castillo's Hardware, Time Out Golf Cart Rental, Island Adventures Golf Cart Rental, Boaz Golf Cart Rental, Xtreme Geeks Limited, Caye Supplies, Harmouch Center, SP Hardware, One Love Groceries, San Pedro Town Council, Caye Mart Supermarket, Train Station, Bowen & Bowen Ltd, and Coral Cable Vision.